If you're angry with me, please find me in chat -- I'd be happy to explain why I've made you angry over there. If you're not angry, you can find me at thesecretmaster@stackexchange.developingtechnician.com. I do ruby. It's a nice language, you should to. I like ruby so much I wrote a library for it (a gem). I'm really looking for contributors if you're interested! Have a look around! That one was kinda dumb. But I made a better version here. ChatX - A library for interacting with SE chat. I love teaching CS! Wooo teaching! Teachers are awesome! 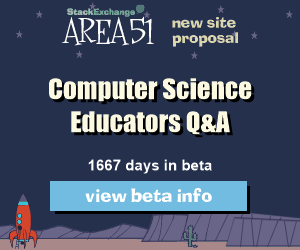 You should join the public beta for Computer Science Educators. Also, I'm a Community Moderator Pro Tempore there. 21 Accepting Nominations -- Who should moderate this site? 11 Let's name our main room! 7 Why in the world would I have_many relationships?